In the earlier years people used to hesitate from taking personal loan, because of the high rate of interest and inability to pay on time, but the system is changing rapidly and people take personal loans pretty casually. To avail a personal loan is also pretty easy and there is a wide range of banks and lenders from which you can chose. Payday loans are also similar to a personal loan but for a much-much shorter time. The principal of personal loan and Payday loan is to pay for things which you might not be able to purchase at once. Let’s compare the both and look at their some of the pros and the cons. A personal loan is not like a home loan or a car loan, as in the bank cannot confiscate something from you. In case of Home loan, if you do not pay, the banks takes your house and if you do not pay for your car loan, the bank can confiscate your car, but that is not the case of personal loan and bank cannot directly seize your assets. That is why personal loan takes weeks to process and approve. For your personal to be approved you need a good enough credit score too. Usually banks charge high rate of interest like 12% to 15% but apply for HDFC personal loan, you can get rate of interest down to just 10%. Lower Interest Rates- Although personal rates are high but when compared to a payday loan, it is significantly low. Avoid credit card debt- A personal loan has much lower rate of interest as compared to credit card processing fees and even the rate of interest charged at the time of repayment is much higher combined. The rate of interest on personal loan depends on credit score, so if your credit score is low than chances are your rate of interest charged on the personal is high. In case of a big purchase, get a new credit and enjoy 0% rate of interest in the beginning. As I mentioned above, personal loan takes time to process and it is not very easy to get a personal loan approved. Especially if you have a low credit score. 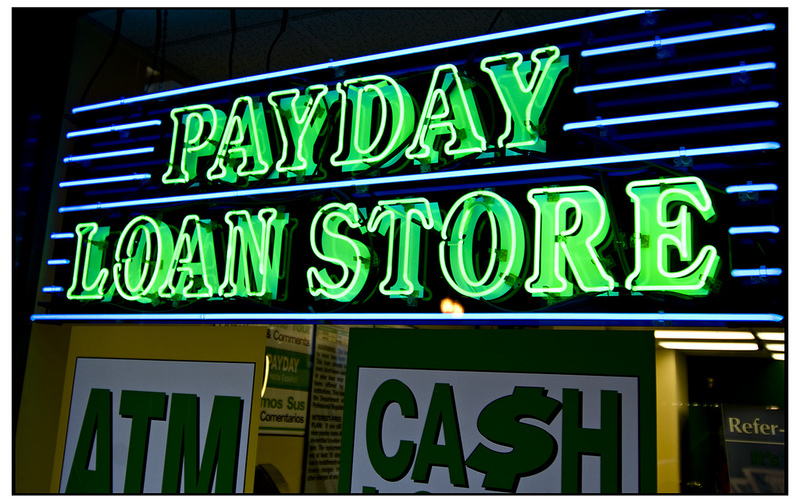 A payday loan can be defined as a short term loan with high rate of interest. As the name suggests the loan must be paid by the time you receive your next salary. So the duration of the payday loan is only 1 months. In some cases, the income or salary is not credited every month, in that case the loan must be paid in whatever time is mentioned by the loanee, like 2 months, 3 months or 6 months. Credit score is not important- You can get your payday loan approved even if you have a poor credit score and even if you have no credit history. Loan Amount can be small- As the loan duration is very short, the loan amount can also be short and the limitation on how small the loan amount can be is pretty low. Higher rate of interest- As mentioned above payday loan have very rate of interest that is why it is usually not suggested. The average rate of interest starts from 15%. Payday loan can become a Debt Trap- The banks are very smart and most of the time they know the lonee would not be able to pay on time, going by their credit history, so they offer other loans to the loanee as well, which can become a vicious cycle of never ending loans and debts. Conclusion- The payday loan should be avoided in most of the scenarios, but in case you have some kind of emergency and you need the cash quick and you can pay it by the next payday too then it would be the best choice, otherwise go for a personal loan. Next Post → Does Your Company Need Csr Consultancy?